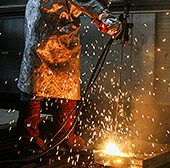 Plasma cutting offers a maximum of flexibility and minimum requirements for material quality and working environment. 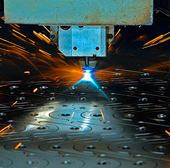 In the middle range of sheet thickness you can achieve a higher cuttingspeed than with laser. The edges are almost without postprocessing. 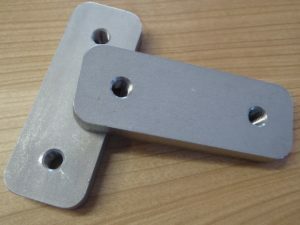 Even when cutting high-alloyed steel in medium and large thickness range, there is no alternative. 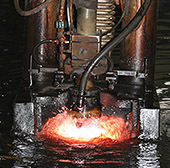 Under water plasma cutting reduces thermal distortion an the noise level. 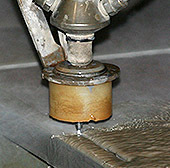 Waterjet technology has not thermal distortion on the material. Very small contours can be cut and the edges are nearly rectangular. 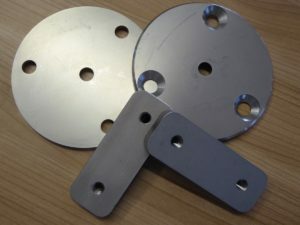 For thin materials the shear cut is suitable. Apart from that we also make cuttings, sawn out of block or seperated milled cuttings.